Logan and Kayden both celebrated birthdays in March and they each requested that I make their favorite Butter Chicken Recipe. Kayden requested it for his birthday last year, too! It is definitely popular with our crowd – we almost never have leftovers. 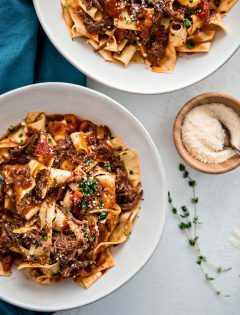 I got smart the second time around and made a big double batch of this recipe so I could stash away a few individual serving containers for lunch for myself. And I was able to sneak away to my office for a few hours and photograph the leftovers for some pretty, new photos! A visit to my regular grocery store easily supplies me with all the necessary ingredients. 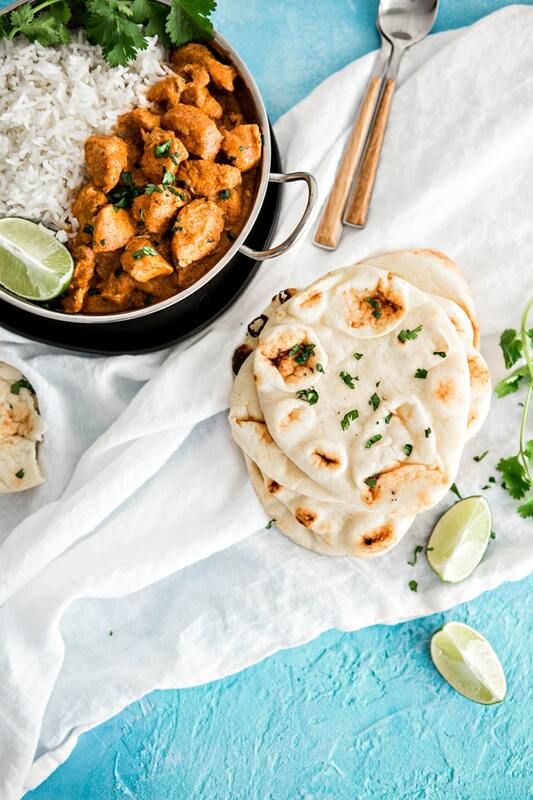 So, don’t worry – you shouldn’t have to make a special visit to an ethnic market to make this recipe for Indian Butter Chicken. You might be wondering what Garam Masala is if you haven’t prepared this Indian Chicken recipe at home before. 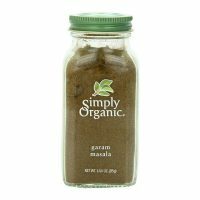 Garam Masala is a spice blend that is used in Indian cooking. 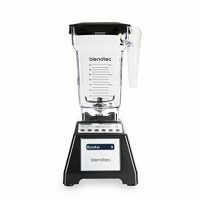 You can definitely make your own blend, but I find it just as easy (and usually less expensive) to purchase the blend at my grocery store. Garam masala usually includes: Cumin, Coriander, Cardamom, Cloves, Black Pepper, Cinnamon, and Nutmeg. 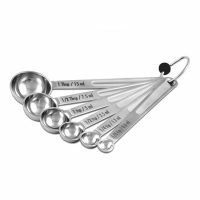 But, there are often variations depending on region or family recipes. 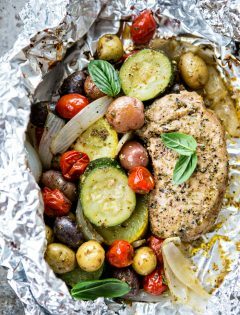 Besides those two lists, you’ll need olive oil and chicken breasts. 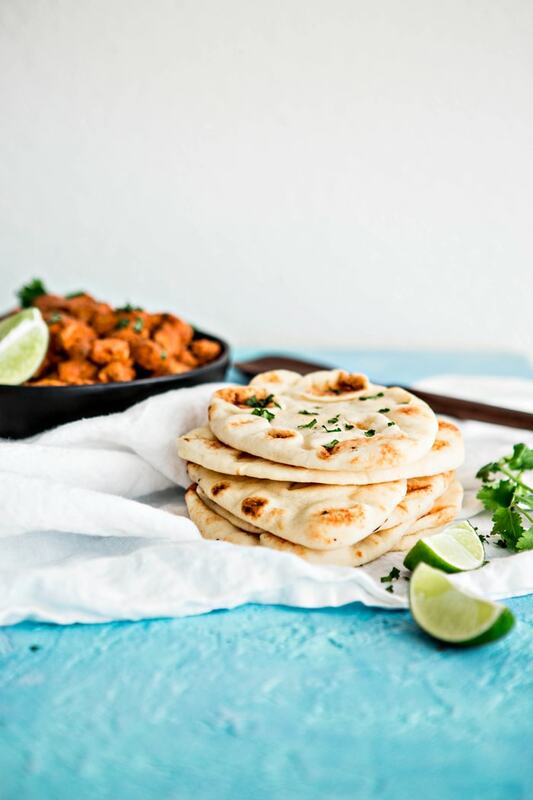 The kids’ absolute favorite thing to serve as a side dish when we cook Indian at home is this recipe for Whole Wheat Indian Naan. Naan is an Indian Flatbread. We like to cook ours on either a very hot griddle over the stove or on the gas grill outside. Outdoors works great when the weather is nice, but we opt for inside when it is cold or windy. If you haven’t ever made a yeast based dough before, you’ll want to check out my 5 Tips for Baking with Yeast. 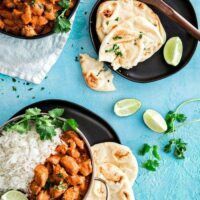 These tips will help you feel more confident in the kitchen and yield more successful results when you make Naan. If I don’t have time to make the Homemade Naan, I can get away with serving some Basmati Rice. Personally I like it best when we have rice AND Naan. I love the way the chicken can be scooped up with pieces of naan and the way the rice soaks up any extra sauce from the chicken. Then, we will serve the meal alongside a big green salad. Lately the kids love Grandma’s Caesar Salad best! For garnishes, I like to use fresh cilantro and lime wedges. 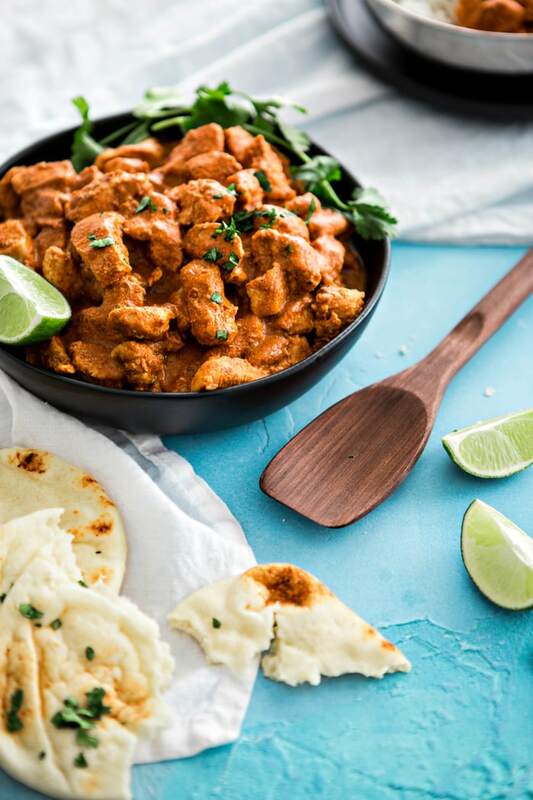 The cilantro and lime give a nice pop of flavor to the butter chicken sauce, and add a pretty contrast to your plate! 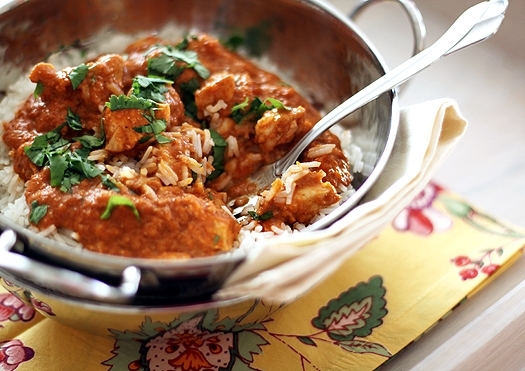 Have you ever made Indian Butter Chicken? 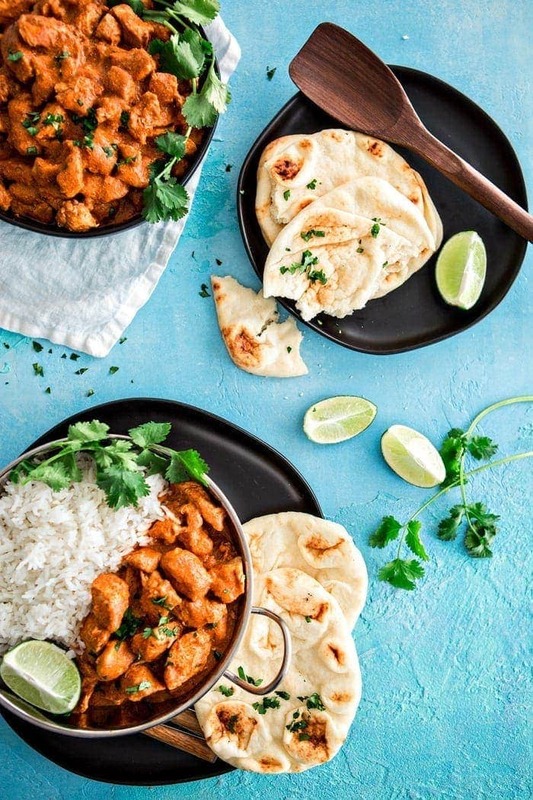 Love this recipe for Indian Butter Chicken? Did you try this recipe? I’d love to know what you thought – leave me a comment below! 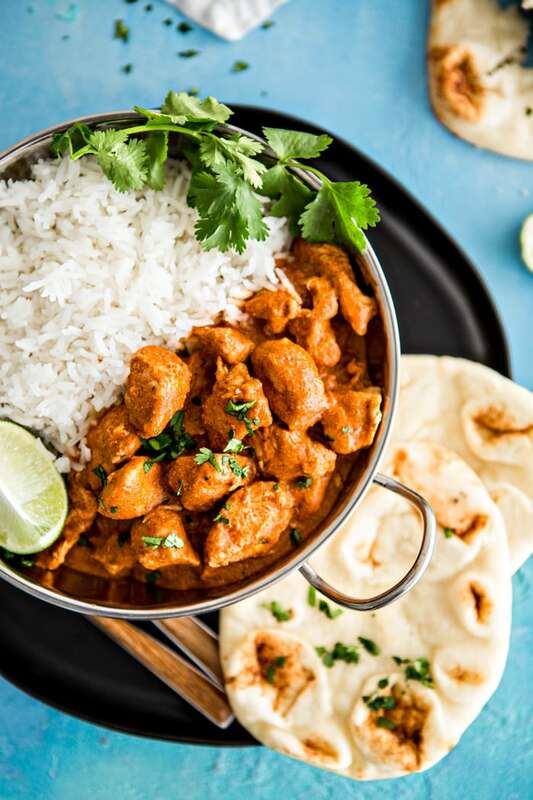 Indian Butter Chicken with Basmati Rice is a delicious, Indian recipe featuring tender chicken in an Indian spiced creamy, tomato based sauce featuring the flavors of garam masala. In a large cast iron pan, add 1 tablespoon of oil and eat over medium heat. Add the onion and sauce for 5 minutes. Then, add the garlic, ginger, and fresh jalapeño and sauce for another 5 minutes. Stir in the garam masala, chili powder, cardamom, and coriander. Saute for an additional 2 minutes. Scrape mixture into a blender or food processor; add tomato paste and chicken broth. Blend until very smooth. Set aside. Pat the chicken dry. Mix chicken with salt and pepper. Set pan over high heat (I usually use the same pan; add 1 tablespoon butter and the chicken. Stir until chicken is no longer pink on the surface, about 3 minutes. 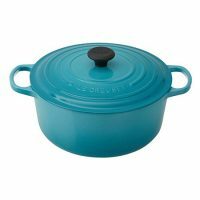 Depending on the size of your pan, it may be best to cook the chicken in batches so that it does not over crowd. If using this method, transfer the cooked chicken to a plate or bowl before working on the next batch. Add the sauce from the blender to the pan with all of the cooked chicken and the half and half or heavy cream. Simmer over medium low heat, stirring often, until chicken is tender and no longer pink in the center (cut to test), about 15 minutes minutes. 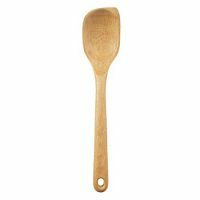 Cut remaining 3 tablespoons butter into chunks and stir into sauce until melted. Spoon chicken and sauce onto rice. Squeeze lime juice over portions and garnish with cilantro. Serve with naan alongside. 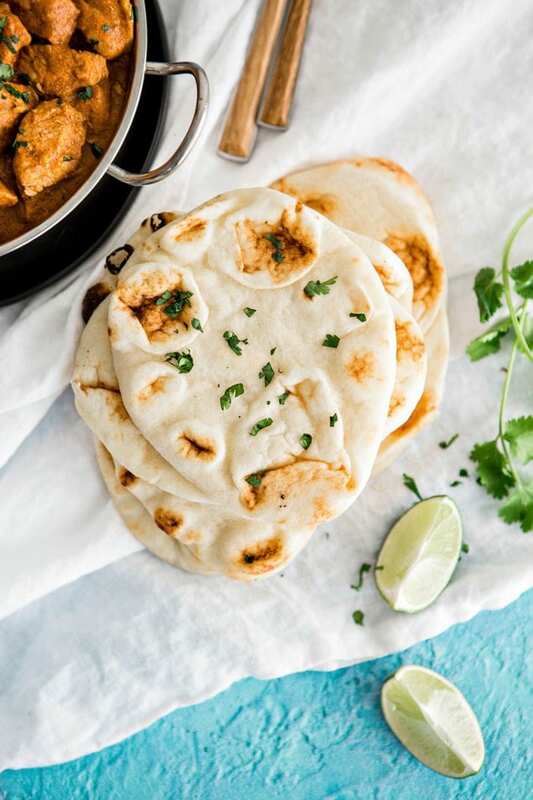 Serve Indian Butter Chicken alongside basmati rice, or, if you have time, I highly recommend making a batch of this Whole Wheat Indian Naan - an Indian flatbread - to serve with the chicken. 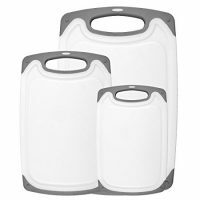 This post has been updated from the archives. The original text follows. 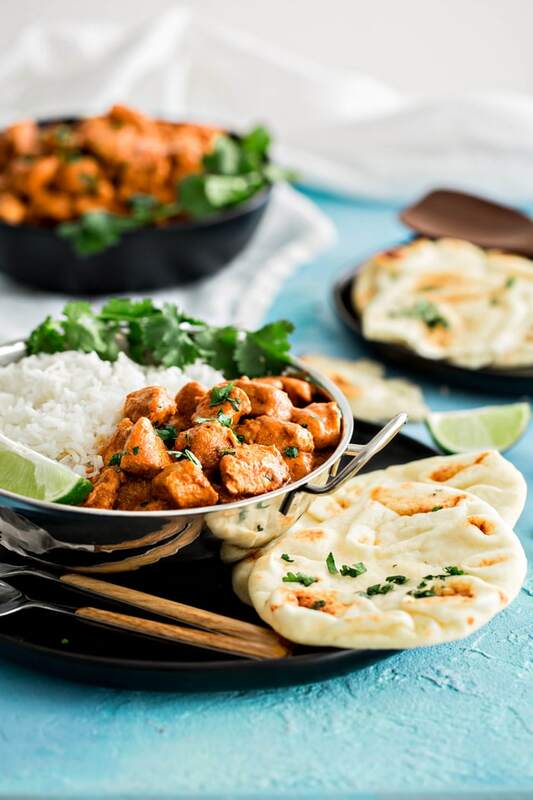 Scroll all the way through for a printable copy of this Indian Butter Chicken Recipe. A few years ago I had not even heard of Indian Butter Chicken. Was I living on some other planet? It kind of seems that must have been the case. I had this dish for the very first time, our last night living in college town. My aunt and uncle made it for us and after a week of packing and cleaning with a 2 month old baby. I thought that it was the best thing I had ever eaten. The next morning we headed out to our new home in Albuquerque. My husband was done with his Master’s degree and we were ready to move on to a job and a real life. I am so grateful we are employed, and have been consistently since leaving college town. I remember that last night and this meal so well because there were so many emotions going on. I was sad to leave my comfort zone and sad to leave family members I love behind. Add to that a mix of post-pregnancy hormones and you’ve really got something going on. 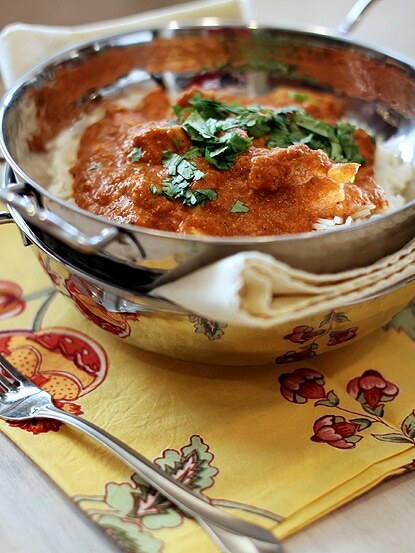 I have often made Indian Butter Chicken since that night. It’s still a favorite of ours, proving that it wasn’t my sleep-deprived-stressed-out-post-pregnancy perception about this dish being one of the best things I’d eaten. I’ve never had authentic Indian restaurant Butter Chicken so I can’t compare it to that. I do know I love this recipe.